Lisa Coleman (left), 38, was pronounced dead at 6:23pm today in Huntsville, Texas. 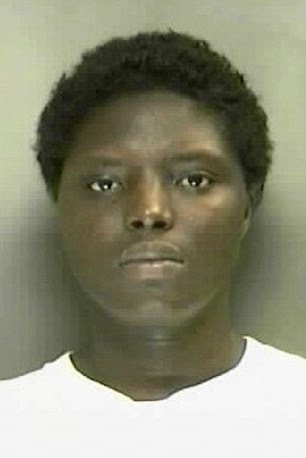 She had been on death row for the past eight years, after being convicted of the 2004 death of her girlfriend's 9yr old son, Davontae Williams (right) who had been beaten and bound, and whose body bore more than 250 scars when officials discovered him on July 26, 2004. He had also been starved, weighing a mere 35 pounds at the time of his death. 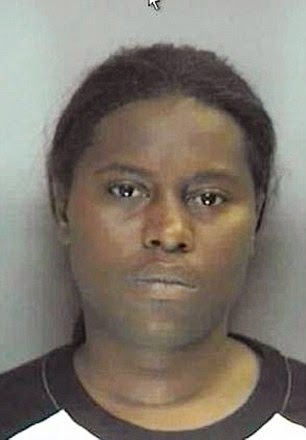 Witnesses said Coleman appeared to be at peace with the execution on Wednesday telling her jailers: 'I'm ready. I know where I'm going. I'm not bitter, just ready'. She then smiled and blew kisses at the supporters gathered at her execution and said 'God bless you all'. Her last words were directed at her fellow inmate, Darlie Routier. 'Tell them I finished strong.' 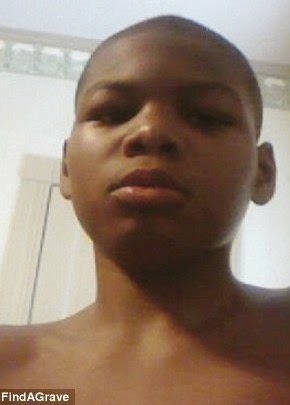 Coleman was given a lethal injection at 6pm and was pronounced dead at 6:23pm. No one showed up to represent the victim, Davontae. 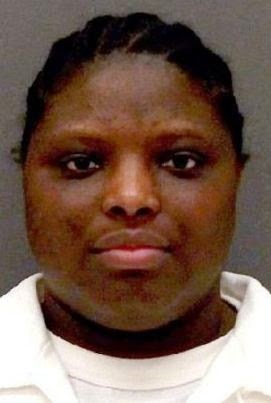 She is the sixth woman to be executed in Texas since 1982. The last woman put to death was Suzanne Basso on February 5 of this year. Davontae's mother and Coleman's former girlfriend, Marcella Williams (pictured left), is currently serving a life sentence for his death, after reaching a plea deal. Williams, who was just 14-years-old when she gave birth to Davontae, had been investigated by Child Protective Services seven times between 1995 and 2002. In 2002, they lost track of the family. Prosecutors in Coleman's case used the charge of kidnapping to justify asking for the death penalty. The young boy's ultimate cause of death was malnutrition. Paramedics who arrived on the scene after it was reported the child was having trouble breathing found him dressed in nothing but bandages and a diaper, and reported that the boy had clearly been dead for several hours.